What does research say about school shootings and their perpetrators? Do all shooters fit a specific profile? 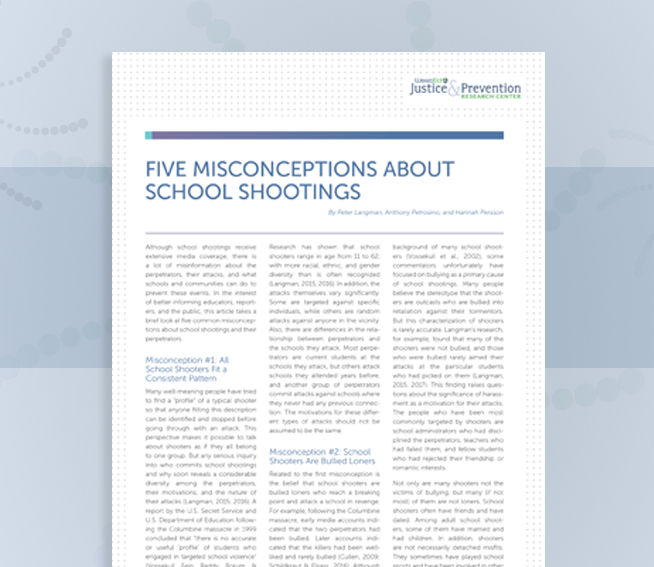 Learn about meaningful steps schools and communities can take to reduce the likelihood of these events.